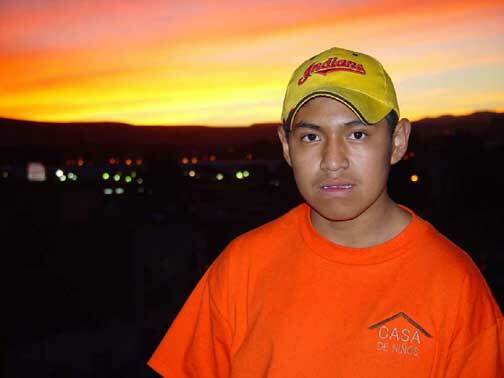 I came to know Jose through working with a mission safe-house in Mexico, Casa de Ninos. Jose wants to be a musician and has been teaching himself guitar for a couple of years. Coming from a life of living under a porch, his singing and playing are from the heart as he plays for Jesus. He's now living at CDN. The sunset on the roof of the house called out for Jose to step forward for this photo.